Nygaard, C., Branch, J. and Holtham, C. (2013). Learning in Higher Education: Contemporary Standpoints. Libri Publishing. ISBN 978-1-907471-70-4. Nygaard, C., Courtney, N. and Holtham, C. (2010). Teaching Creativity: Creativity in Teaching. Libri Publishing. Nygaard, C., Courtney, N., Holtham, C. and Brown, S. (2010). Beyond Transmission: Innovations in University Teaching. Libri Publishing. Gibson, A., Sample, W.W.D., Courtney, N. and Holtham, C. (2009). Social by Social : A practical guide to using new technologies to deliver social impact. NESTA. Nygaard, C. and Holtham, C. (Eds. ), (2008). Understanding Learning-Centred Higher Education. Copenhagen: Copenhagen Business School. Holtham, C. (2001). Revenge of the colonies. Holtham, C. and Selim, G. (2001). Creating the twenty first century international business school: teaching and learning challenges. Scholarship of Teaching and Learning,. Holtham, C. and Courtney, N. (2000). New Species rule the e-business jungle. Holtham, C. (2000). Lifting the Weight (e-doc). Holtham, C. (1997). Know what I mean. Holtham, C. (1997). Final Report: The Business Facilitation System: A DTI/EPSRC Computer Supported Collaborative Work Research Project, Reference: GR/J94884, 1993-1997. Holtham, C. (1997). It�s so unfair. Holtham, C. (1995). The Lessons of War. Holtham, C. (1995). Problems with the homework. Holtham, C. (1995). The Business Flight Simulator. Holtham, C. and Dove, A. (2018). Utilising real-world space in teaching and learning: thinking outside the box. In Bilham, T.D., Hamshire, C., Hartog, M. and Doolan, M.A. (Eds. ), Reframing Space for Learning: Empowering Excellence and Innovation in University Teaching and Learning London: IoE/UCL Press. Holtham, C. and Bech, T. (2018). Playful Urban Learning Space – an Indisciplinary Collaboration. In James, A. and Nerantzi, C. (Eds. ), The Power of Play London: Palgrave Macmillan. Holtham, C. (2015). Towards New Genres for 21st Century Business School Case Studies. In Courtney, N., Poulsen, C. and Stylios, C. (Eds. ), Case Based Teaching and Learning for the 21st Century (pp. 121–136). Libri Publishing. Holtham, C. and Cancienne, A. (2014). Collective Learning Spaces: Constraints on Pedagogic Excellence. In Branch, J., Bartholomew, P., Nygaard, C. and Scott-Webber, L. (Eds. ), Learning Space Design in Higher Education (pp. 225–240). Libri Publishing. Holtham, W.C. and Owens, A. (2009). Unconscious Learning Through Social Collaboration: Modeling a capacity for learning through the derive. In Rush, L. and Fisher, A. (Eds. ), Expanding the capacity to learn of student teachers in Initial Teacher Education (pp. 43–45). Lancaster: Escalate. Holtham, C. and Courtney, N. (2008). Interlacing teaching and learning strategy in business education. In Nygaard, C. and Holtham, C. (Eds. ), Understanding Learner Centered Higher Education Copenhaged: Copenhagen Business School Press. Holtham, C. (2008). Place and Space Strategies for 21st Century Organizations. In Charles Wankel, (Ed. ), 21st Century Management: A Reference Handbook (pp. 451–460). Sage. Holtham, C., Courtney, N. and Hendry, C. (2006). Value Creation through Intangibles: emerging good practice. In Ermine, J.-.L. and Boughzala, I. (Eds. ), Trends in enterprise knowledge management London: ISTE. Holtham, C. (2006). City of London: Sir John Cass Business School. In Oblinger, D.G. (Ed. ), Learning Spaces (pp. 15–15). EDUCAUSE. ISBN 0-9672853-7-2. Holtham, C. and Rich, M. (2005). Making space for twenty first century management learning. In eds Milter, R., Perotti, V. and Segers, M. (Eds. ), Educational Innovation in Economics and Business IX: Breaking Boundaries for Global Learning Kluwer academic publishing. Holtham, C., D Cruz, M. and Tiwari, A. (2002). The application of business groupware technology to support collaborative learning with face to face students. The Digital University — Building a Learning Community (pp. 113–124). London: Springer-Verlag. Holtham, C. (2001). Valuation has its price. (pp. 232–233). Kluwer Academic Publishers..
Holtham, C. and Shift, C. (2000). Business Re-Creation AD 2000. (pp. 17–18). KMC Press. Holtham, C. (2000). Using modern technology to build new capabilities. (pp. 148–165). John Wiley & Sons. Holtham, C. (1999). Better paper than paper: Adobe Acrobat 4.0. (pp. 25–29). John Wiley & Sons. Holtham, C. (1999). The Future of Knowledge Management. (pp. 29–31). John Wiley & Son. Holtham, C., D Cruz, M. and Tiwari, A. (1998). The application of intranet and business groupware technologies to support collaborative learning with face-to-face students. (pp. 267–280). London Business School. Holtham, C. (1997). Research on the use of information technology during the Sales Dialogue. (pp. 24–30). INTRAC. Holtham, C. (1997). That�s Edutainment. (pp. 117–119). Investment Property Forum. Holtham, C. (1996). Thomas Miller and Co: From Information to Imagination. (pp. 144–151). Insurance: Mathematics and Economics. Holtham, C. (1995). A Groupware Based Framework for Learning Organisations: The BFS Project. (pp. 205–217). Institute of Economic Affairs. Holtham, C. (1995). Developing a System for Measuring Departmental Performance. (pp. 149–154). Institute of Economic Affairs. Holtham, C. (1995). Integrating technologies to support action. (pp. 91–107). Institute of Economic Affairs. Holtham, C. and Jones, S. (2018). Skilful Coping with Unorder: Educating 21st Century Arts Leadership. European Institute for Advanced Studies in Management: 6th Workshop on Managing Arts and Cultural Organisations 30 Nov 2018 – 1 Dec 2018, Oxford. Holtham, C. (2017). How artful inquiry can overcome limitations in traditional management scholarship. Art of Management Conference 1-2 November, St Johns University, New York. Holtham, C., Suomalainen, S., Pässilä, A. and Owens, A. (2017). Facilitating sustainable development through artful inquiries. ARTEM research conference on Organizational Creativity and Sustainability 14-16 September, Nancy, France. Holtham, C. (2017). Artful inquiry: resilience in an ambiguous world of VUCA. Beyond Text Workshop 9-11 May, University of Vic, Spain. Holtham, C. (2017). Why innovation and creativity are good in theory but difficult in practice. Fostering International Cooperation for Strengthening Knowledge Collaboration in Moldova, Knowledge Triangle Forum 23-24 March, Chisinau, Moldova. Holtham, C. (2016). Accelerating organisational innovation through high-engagement arts-based learning. Beyond Text Workshop 15-17 November, Chester. Holtham, C. and Bech, T. (2016). Play for happiness is too important to be made serious. Art of Management and Organisation 1-4 September, Bled, Slovenia. Holtham, C. and Dove, A. (2015). Innovation through artefacts: artful learning in management education. PIN-C Participation Reframing Design Conference 18-20 May, The Hague University of Applied Sciences. Norris, L., Eyt-Dessus, A. and Holtham, C. (2013). The learning ecosystem: A practical, holistic approach to old problems in a new world. 30th Annual conference on Australian Society for Computers in Learning in Tertiary Education, ASCILITE 2013 1-4 December, Sydney. Holtham, C.W. (2012). Web 3.0 - challenge or opportunity for accountants? Charity Finance Directors' Group Annual Conference London. Holtham, C.W. and WIlkins, A. (2011). How far should design be at the heart of a 21st century university focussed on creativity and innovation? E&PDE 2011, the 13th International Conference on Engineering and Product Design Education 8-9 September, London, UK. Holtham, C.W. (2011). Engaged Learning: Effective Use of Learning Inside and Outside the classroom. Learning and Teaching Conference - Making teaching and learning relevant to students in the 21st century 28 June, University of West London, UK. Holtham, C.W., Dove, A. and Neugarten, M. (2011). Developing critical and imaginative thinking as core dimensions in management education: key roles for visual expression. EIASM 2nd Workshop On Imagining Business: Reflecting on visuality, performances and materialities in practices of management, organising and governing" 19-20 May, Segovia, Spain. Holtham, C., Dove, A. and Owens, A. (2011). Building on cultural spaces and places for enhancing the intuitive capabilities of students of business and management. Holtham, C.W. (2011). Creating an innovative first year module on reflective practice. NTF National Teaching Fellows Annual Symposium University of Leicester, UK. Holtham, C.W. and Dove, A. (2011). Meeting rapidly-changing employer needs - challenges to transmissive learning. Learning at City Conference London, UK. Holtham, C.W. (2011). Technology Innovation versus Exploitation Capability. Okra Globalisation Conference London, UK. Holtham, C.W. (2011). Using innovative technologies in academic teaching: supporting learning in and out of the classroom. EFMD Symposium on Creating Competitive Advantage with Pedagogical Innovation Brussels, Belgium. Holtham, C.W. (2011). Why should Business Analysts be Creative and Innovative? Business Analysis Conference London. Holtham, W. and Owens, A. (2010). How arts-based approaches can support the creation and sharing of knowledge in professions such as management and education. Apply Arts Conference 19-20 October, Helsinki, Finland. Holtham, C.W. (2010). Creative Leadership. Art of Management & Organization Conference 1-2 September, Bilgi University, Istanbul, Turkey. Holtham, C.W., Owens, A. and Bogdanova, M. (2010). Improving Visual Perception and Representation by Managers. 28th Standing Conference on Organisational Symbolism (SCOS) 7-10 July, Lille, France. Holtham, C.W., Ward, V. and Owens, A. (2010). Slow Knowledge Work: Designing Space and Learning. 26th EGOS Colloquium 1-3 July, Lisbon, Portugal. Holtham, C.W., Douthwaite, S., Dove, A., Lee, H.Y. and Palmer, P. (2010). Personal and Career Options: embedding reflection within the academic curriculum. Learning at City Conference 2010 3 June, London. Holtham, W.C. and Rich, M. (2010). Developing an innovative informal learning capability for sector-wide management education. EDINEB Conference June, London, UK. Holtham, W.C. and Courtney, N. (2010). Five Dimensions for Exploiting Technology Intelligently. UKAIS 2010: UK Academy of Information Systems Conference 23-24 March, University of Oxford. Holtham, W.C. and Owens, A. (2010). The National Teaching Fellowship Scheme as an ecosystem for sustaining cross-disciplinary learning innovation. Higher Education Academy Conference, Hatfield, 22nd-23rd June Hatfield. Holtham, W.C. and Rich, M. (2010). Towards enactment in management learning: balancing rational and intuitive approaches. EABIS Experiential Learning Congress, 25-26th November Berlin, Germany. Holtham, W.C. and Rich, M. (2010). Two decades of learning innovation in management education - some lessons. M/O/T Conference, 1st-4th December Vienna, Austria. Holtham, C.W. (2009). Creativity and higher education: developing an institution-wide perspective, then implementing it. Creative Economy and Beyond (CEB) Conference 9-10 September, Helsinki, Finland. Holtham, C.W. (2009). Spaces For Creativity - Interweaving the Physical and the Virtual. HCI 2009 Workshop: Information Spaces for Creative Conversations (1 September 2009) 1-5 September, Cambridge University. Holtham, W.C. and Rich, M. (2009). Blending web 1.0 and web 2.0 instructional resources: experience from a web-based informal learning system. eLearning Web 2.0 Conference 6-7 July, Brunel University, Uxbridge. Holtham, C. and Courtney, N. (2009). Achieving the potential of web-conferencing: lessons from media synchronicity theory. DIVERSE Conference 2009 24-26 June, Aberystwyth. Iacono, J., Brown, A. and Holtham, C. (2009). Research Methods — a Case Example of Participant Observation. 8th European Conference in Research Methods for Business and Management (ECRM) 22-23 June, Academic Conferences Valletta, Malta. Holtham, W.C. and Hardie, K. (2009). Creativity in Higher Education. NTF National Teaching Fellows Symposium 10-11 May, Leeds, UK. Holtham, C. (2009). Limits on the business applications of arts practices. InQBate CETL Workshop 26 February, Brighton, UK. Holtham, W.C. and Wilkins, A. (2009). Organisational creativity: building a business ba-haus? EOGS, 2nd-4th July Barcelona. Holtham, C.W., Brown, A. and Rich, M. (2009). The Impact of Diversity and Enrichment of Feedback to Enhance a Key Lifelong Managerial Capability. BMAF Conference 2009, Engaging Employers, Cardiff, 28th-29th April, 2009 Cardiff. Holtham, W.C. and Barratt, M. (2009). Wayfinding in multiple dimensions: a web case study. IDA Conference, 1st-2nd April 2009 London. Holtham, C. (2008). Learning by Design. Out of the Studio Conference; Art, Design Media Subject Centre 15 December, Arts Institute Bournemouth. Holtham, C., Sims, D., Lampel, J. and Owens, A. (2008). Can artful inquiry ever play more than a minor role in formal management education? The Fourth Art of Management and Organization Conference 9-12 September, Banff Centre, Alberta, Canada. Holtham, C. and Owens, A. (2008). Innovative reporting on professional reflection-in-action: drawing on methods with origins in the fine arts. The Fourth Art of Management and Organization Conference 9-12 September, Banff Centre, Alberta, Canada. Holtham, C., Owens, A. and Bogdanova, M. (2008). M level Inquiry Across Disciplinary Boundaries: Using Reflective Sketchbooks. British Educational Research Association Annual Conference (BERA) 3-6 September, Edinburgh, United Kingdom. Holtham, C., Owens, A., Bogdanova, M. and Holtham, S. (2008). Visual imagination in professional development. EIASM 1St Workshop On Imagining Business: Reflecting On The Visual Power Of Management, Organising And Governing Practices 26-27 June, Said Business School, University of Oxford. Holtham, C., Owens, A., Bogdanova, M. and Holtham, S. (2008). Visual imagination in professional development. European Institute for the Advanced Study of Management (EIASM) Workshop, �Imagining Business; Reflecting on the visual power of management, organising and governing practices�, 26th-27th June 26-27 June, Said Business School, University of Oxford. Holtham, C. and Owens, A. (2008). Narrative at the heart of reflective professional development. Narrative Practitioner Conference 23-25 June, North East Wales Institute of Higher Education, Wrexham, North Wales, UK. Holtham, C. and Brown, A. (2008). The transition from transmissive to constructivist learning for management undergraduates. EDINEB (Educational Innovation in Economics and Business) Conference 11-13 June, Malaga, Spain. Holtham, C., Wiertz, C. and Palmer, P. (2008). Approaches to high engagement learning. Scholarship of Teaching and Learning (SoTL) 7th International Conference 15-16 May, London. Holtham, C. (2008). Spaces and performance transcending professional pedagogies. Space, Performance and Pedagogy Symposium 15 May, CAPITAL Centre, Warwick University, UK. Holtham, C. and Brown, A. (2008). High Engagement First Year Transition Through an Integrating Module on Management. BMAF Conference 2008: The Learning and Teaching Agenda in the UK: National Perspectives but Common Concerns? 29-30 April, Edinburgh, UK. Holtham, C. and Rich, M. (2008). Lessons From A Major Project to Enhance the Quality of UK Business Education. BMAF Conference 2008: The Learning and Teaching Agenda in the UK: National Perspectives but Common Concerns? 29-30 April, Edinburgh, UK. Holtham, C. and Rich, M. (2008). Developing the architecture of a large-scale informal e-learning network. 4th TENCompetence Open Wokshop 10-11 April, Madrid, Spain. Holtham, C. and Rich, M. (2008). Learning outside formal educational settings. British Computer Society Grand Challenge Workshop on Lifelong Learning 18 March, London, UK. Holtham, C. (2008). Making Space for Learning. Learning and Teaching Conference 2007 13 Jul 2007, Brighton. Holtham, C. and Owens, A. (2007). Exhibiting professional creativity through collections. The Turn to Aesthetics Conference 5-8 June, Liverpool Hope University, Liverpool, UK. Holtham, C. (2007). The application of video for informal learning in management education: staff and student experiences. DIVERSE Conference on Video and Video-conferencing in Further and Higher Education June, Lillehammer, Norway. Holtham, C., Courtney, N. and Barratt, M. (2007). Successful Web 2.0 in higher education - the importance of information design. Shock of the Old 2007: Shock of the Social 22 March, Said Business School, Oxford. Holtham, C. (2007). Radical Change in Management Education - where the full impact of Stafford Beer may yet take place. Fifth Metaphorum Conference 9-10 March, University of St Gallen, Switzerland. Holtham, C., Owens, A., Roberts, T. and Rogers, A. (2007). Enhancing professional learning through sketchbooks: cases from business, theatre and education. International Conference on Design Principles and Practices 4-7 January, Imperial College, London, UK. Holtham, C. (2007). Making Space for Learning. University of Brighton Conference July 2007 Brighton. Holtham, C. and Owens, A. (2007). The drive: supporting scholarly collaboration across wide disciplinary boundaries. The Turn to Aesthetics Conference Liverpool. Holtham, C. and Courtney, N. (2007). The QUBE Project. Higher Education Academy FDTL Conference, 5-6th February 2007 Bristol. Holtham, C., Murphy, C. and Handberg, L. (2006). Impacts of Analogue and Digital Documents on Collaborative Episodes in Professional Education and Training . CoPADD 2006: 1st Workshop on Collaborating over Paper and Digital Documents 4 November, Banff, Canada. Lampel, J., Sims, D. and Holtham, C. (2006). Can artful inquiry help investigate the mystery of management? 3rd Art of Management and Organization Conference 5-9 September, Krakow, Poland. Courtney, N. and Holtham, C. (2006). Games and simulations to support management learning and change: a higher education example. SAGSET Conference (Society for the Advancement of Games and Simulations in Education and Training) 12-14 July, London, UK. Courtney, N. and Holtham, C. (2006). High-engagement learning for business education. Higher Education Academy Annual Conference 3-5 July, Nottingham, UK. Holtham, C. and Courtney, N. (2006). High-Engagement Learning for Management Education. Higher Education Academy Annual Conference 3-5 July, Nottingham, UK. Courtney, N. and Holtham, C. (2006). Excellence in Management Education: Innovating in Response to Rapid Change. 2nd International Conference Integrating for Excellence 28-30 June, Sheffield, UK. Sims, D., Lampel, J., Owens, A. and Holtham, C. (2006). Applying perspectives from the arts as a route to gaining insights into management problem solving. New perspectives in learning in the professions 14 June, London, UK. Holtham, C. (2006). Relationships between physical space and virtual work: analogue and digital worlds. Realising Benefits from Investment in Document and Records Management Conference 13 June, London, UK. Courtney, N., Stace, D. and Holtham, C. (2006). Balancing technology, business processes and skills: key determinants of firm-level information systems success? ITU and LBS Digital Transformations in the Information Society Conference 1-2 June, Geneva, Switzerland. Courtney, N. and Holtham, C. (2006). Mapping innovative practice in management education. EURAM 2006 Conference 17-20 May, Oslo, Norway. Rich, M. and Holtham, C. (2006). Individuality and identity: students responses to learning alone and learning collaboratively. 6th Annual International Conference on the Scholarship of Teaching and Learning May, London, UK. Putzel, R. and Holtham, C. (2006). Evaluating teaching and learning methods in management education. Business, Management, Accounting and Finance Subject Centre Annual Conference 6-7 April, Oxford, UK. Courtney, N., Barratt, M. and Holtham, C. (2006). Information Architectures for Quality Management in UK Business Education. Business, Management, Accounting and Finance Subject Centre Annual Conference 6-7 April, Oxford, UK. Owens, A. and Holtham, C. (2006). Enhancing management knowledge through extra-rational theatrical tools: beyond consensus of theatrics to dissensus of dialogue. OLKC 2006: The First International Conference on Organizational Learning, Knowledge and Capabilities 20-22 March, Warwick University Business School, UK. Holtham, C. and Nigel Courtney, M.B. (2006). Information Architectures for Quality Management: A UK Case Study. Higher Education Academy Annual Conference Lisbon, Portugal. Holtham, C. and Courtney, N. (2006). The Deans Dilemma. Association of Business Schools Annual Conference Grantham. Courtney, N. and Holtham, C. (2005). Collaborative learning between universities in eight countries on innovation in management education. Euroepan Union eChallenges e-2005 Conference 19-21 October, Ljubljana, Slovenia. Sodhi Manmohan, S. and Holtham, C. (2005). Designing Student Teams in Professional Education: Experiences from a Management Programme. Fifth Annual International Conference on the Scholarship of Teaching and Learning (SoTL) 2005 12-13 May, London. Courtney, N. and Holtham, C. (2005). Barriers to innovation in management education: an international perspective. NTF National Teaching Fellows Annual Symposium May, Nottingham, UK. Holtham, C. (2005). Creating a 21st Century Management Education Environment: Practising the Rules of the Game. BEST Conference 1 April, London, UK. Bertin, C. and Holtham, C. (2005). IS implementation and IT-enabled Organizational Change in the Eastern Caribbean Tourism Sector. UK Academy for Information Systems (UKAIS) 10th Annual Conference 22-24 March, Newcastle, UK. Brady, C., Melville, R. and Holtham, C. (2005). 21st Century Professional Management Education: Learning, Simulation, Emulation and Games. International Simulation and Gaming Association Atlanta. Holtham, C. (2005). Teaching and Learning Champions: An Institutional Perspective from the UK. Second International Forum of Teacher-Scholars: Towards a framework for quality assurance for teaching and learning Charlottetown, Prince Edward Island, Canada. Anderson, V., Courtney, N., Turner Bisset, R. and Holtham, C. (2005). Transitional Objects; not only for infants, but also for adult learning. Society for Teaching and Learning In Higher Education Canada Annual Conference University of Prince Edward Island. Melville, R. and Holtham, C. (2004). E-Portfolios to create learing diversity. European E-portfolio Conference March, London, UK. Russell, G., Collins, P., Davey, P., Alam, R., Tamworth, R. and Holtham, C. (2004). Approaches to national standardisation in knowledge management. 25th McMaster World Congress: Management of Intellectual Capital 14-16 January, Hamilton, Canada. Bhalla, A. and Holtham, C. (2004). The organizational jigsaw: opportunities for collaborative learning. EGOS Workshop, Drawing on Organization Studies to Design, Manage and Organize Education Ljubjlana, Slovenia, July 2004. Holtham, C. (2004). Management research, management teaching and management practice - Do they have to be only loosely connected? Courtney, N. and Holtham, C. (2003). Executive Learning: the evolution of effective e-learning architectures. European Commission eChallenges e-2003 Conference 22-24 October, Bologna, Italy. Colton, S., Dove, A., Ward, V. and Holtham, C. (2003). Slow Knowledge: uses of the postcard in re-forming organisational time, place and meaning. 'In search of time' Conference 8-10 May, Palermo. Martin, I., Prior, A., Ward, V. and Holtham, C. (2002). People and patterns: a case study of the relationship between risk management and knowledge management in financial servicesvehicles of exchanges and communities. The Fourth European Conference on Organizational Knowledge, Learning, and Capabilities 13 Apr 2003 – 15 Apr 2003, Barcelona, Spain. Brown, A., Rich, M. and Holtham, C. (2003). Information literacy for starting MBA's: issues and dynamics. BEST 2003 Conference Brighton, UK. Youngman, R. and Holtham, C. (2003). Measurement and Reporting of Intangibles: a European Policy Perspective. McMaster World Conference on Intangibles and Intellectual Capital McMaster University, Ontario, Canada. Colton, S., Dove, A., Lampel, J., Ward, V. and Holtham, C. (2002). Shared Information Displays in Management Learning: lessons from experience and experiment. ACM 2002 Conference on Computer Supported Cooperative Work 16-20 November, New Orleans, US. Ward, V., Bohn, M. and Holtham, C. (2002). Slow knowledge: the importance of tempo in debriefing and in individual learning. OKLC 3: Organisational Knowledge, Learning and Competencies Conference 5-6 April, Athens, Greece. Ward, V., Bohn, M. and Holtham, C. (2001). Slow Company ? how procrastination and delay improves the quality of knowledge, collaboration and understanding. Spacing and Timing Conference November, Palermo, Italy. Knudsen, C. and Holtham, C. (2001). In-office Videoconferencing: New Opportunities, New Skills. 1st International DIVERSE Conference on Video and Video-conferencing in Further and Higher Education July, Derby, UK. Holtham, C. (2001). Back To The Future: Learning from the Past. Information Management 2001 Olympia, London, UK. Holtham, C. (2001). Designing Knowledge Environments that work. European Knowledge Management Conference Brussels. Holtham, C. (2001). How to successfully exploit business intelligence to manage business. Business Intelligence Europe Paris, France. Eustace, , Clark, , Clive, H. and Holtham, C. (2001). The Intangible Economy Impact And Policy Issues. Report of The European High Level Expert Group on the Intangible Economy, DG Enterprise Brussels. Holtham, C. (2000). Creating Learning Communities Online. Knowledge Management Conference London, UK. Holtham, C. (2000). Transformation through technology: learning with our customers. EFMD External Relations Seminar EADA Business School, Barcelona. Holtham, C. (1999). Preface to Morals for robots and cyborgs: ethics, society and public policy in the age of autonomous intelligent machines by Perri 6. Bull Information Systems, London, UK. Courtney, N. and Holtham, C. (1998). Applied Knowledge Management. Unicom Conference London, UK. Holtham, C. and Courtney, N. (1998). The executive learning ladder: A knowledge creation process grounded in the strategic information systems domain. Holtham, C. (1998). Knowledge Management and Culture. Learned Information Knowledge Management Conference Oxford, UK. Patel, U., D'Cruz, M.J. and Holtham, C. (1997). Collaborative Design for Virtual Team Collaboration: A Case Study of Jostling on the Web. Holtham, C. (1997). Will business knowledge management survive until the twenty first century? Loebbecke, C., Wölcken, K., Bjørn-Andersen, N., Holtham, C., Krcmar, H. and Pokorn, J. (1997). Panel: Pan-European Research in Information Systems: Why and How. Holtham, C. (1996). The Information Fabric: How the business process sits alongside the information infrastructure for organisational and personal learning in times of radical change. European Business Process and Workflow Conference Amsterdam. Vreede, G.-.J.D., Ackermann, F., Valacich, J.S. and Holtham, C. (1996). Panel 12 Supporting Teams in the Twenty-First Century. Holtham, C. (1995). Applying group technologies to support organisational change - theory and practice. Black Forest Group, San Francisco. Holtham, C. (1995). Executives, Information and Technology: Keynote Presentation. EIS and OLAP Conference London, UK. Holtham, C. (1995). The Business Potential of Groupware. Executive Systems Research Centre (ESRC) University College, Cork. HOLTHAM, C. (1992). ARCHITECTURES FOR EXECUTIVE SUPPORT SYSTEMS - TOWARDS A PROTOTYPE TOP MANAGER WORKSTATION. Holtham, C. and Dove, A. (2018). Genre and regenring for educating managers in reflective practice. Journal of Writing in Creative Practice, 11(1), pp. 139–150. doi:10.1386/jwcp.11.1.139_1 . Bauk, S., Kapidani, N., Schmeink, A. and Holtham, C. (2017). Concerning intelligent ICT exploitation in some maritime business organizations: A pilot study. Nase More, 64(2), pp. 63–68. doi:10.17818/NM/2017/2.5 . Holtham, C., Dove, A. and Owens, A. (2012). Building on cultural spaces and places for enhancing the intuitive capabilities of students of business and management. Art, Design and Communication in Higher Education, 10(2), pp. 163–178. doi:10.1386/adch.10.2.163_1 . Wilkins, A. and Holtham, C. (2012). Organisational Creativity: Building a Business Ba-Haus? Creative Education, 03(06), pp. 737–745. doi:10.4236/ce.2012.326110 . Stace, D., Courtney, N. and Holtham, C. (2012). Bringing ICT to the strategy table. Strategic Change, 21(1-2), pp. 41–57. doi:10.1002/jsc.1894 . Iacono, J.C., Brown, A. and Holtham, C. (2011). The use of the case study method in theory testing: The example of steel emarketplaces. Electronic Journal of Business Research Methods, 9(1), pp. 57–65. Holtham, C.W. and Owens, A. (2011). Using the urban to span the boundaries between diverse disciplines: Drama Education and Business Management. Practice and Evidence of the Scholarship of Teaching and Learning in Higher Education (PESTLHE), 6(3), pp. 292–305. Iacono, J., Brown, A. and Holtham, C. (2009). Research methods - a case example of participant observation. Electronic Journal of Business Research Methods, 7(1), pp. 39–46. Holtham, C.W. (2009). Twenty-first-century e-learning: are the dreams still to come true? Advance (Saffron Interactive), 24, p. 1. Stace, D., Courtney, N. and Holtham, C. (2005). Stepping ahead with technology: but not too far! Strategic Change, 14(4), pp. 179–193. doi:10.1002/jsc.722 . Holtham, C. (2005). Do we over communicate? European Business Forum, 23, Winter 2005. Stace, D., Holtham, C. and Courtney, N. (2004). Mapping opportunity space: options for a sustainable e-strategy. Strategic Change, 13(5), pp. 237–251. doi:10.1002/jsc.691 . Holtham, C. (2003). Building for Business Knowledge: Constructing a New Business School in the Heart of London. Business Information Review, 20(4), pp. 215–225. doi:10.1177/0266382103204007 . Holtham, C., Rich, M. and Murphy, C. (2002). Business Information Systems: A multi-disciplinary perspective on the scholarship of teaching and learning. .
Holtham, C., Bohne, M. and Ward, V. (2002). Creating effective physical and virtual spaces: the contributions of storytelling, architecture and artefacts to management education and practice. .
Holtham, C. (2002). Prestatiemanagement van immateriele activa: hoe staat daar eigenlikj mee? [Performance Management and the Measurement of Intangibles]. Bedrijfskunde, 74(2). Stace, D., Holtham, C. and Courtney, N. (2001). E-Change: Charting a path towards sustainable e-strategies. Strategic Change, 10(7), pp. 403–418. doi:10.1002/jsc.555 . Holtham, C., Ward, V. and Rosander, C. (2001). Designing spaces for knowledge work: can the use of fiction help construct new realities? Proceedings of University of Leicester conference "Managing Knowledge, Conversations and Critiques". Holtham, C. (2001). The net is full of own goals. Independent on Sunday, pp. 25–25. Holtham, C. and Courtney, N. (2001). Developing managerial learning styles in the context of the strategic application of information and communications technologies. International Journal of Training and Development, 5(1), pp. 23–33. doi:10.1111/1468-2419.00119 . Holtham, C. (2001). The problem with winner-takes-all technologies. lectronic Business-21.com, 1(1), pp. 43–43. Holtham, C. (2001). The major barrier to the next wave of e-businesses. Electronic Business-21.com, 1(2), pp. 74–74. Holtham, C. (2001). Executive Sense: a look at i3 from a business perspective. i3 net: The European Network for Intelligent Information Interfaces, 2001(10), pp. 32–33. Holtham, C. and Rich, M. (2001). Barriers to academic take up of computer mediated communications and video technologies - the comfort factor? Proceedings of Conference on Telecommunications, Education and Training, Charles University, Prague. Holtham, C. (2001). Business Intelligence 2001. , 3. Holtham, C. (2001). Is XML really a standard? . Holtham, C. (2001). On Location. p. 16. Holtham, C., Ward, V. and Bohn, M. (2001). Slow Company: how procrastination and delay improves the quality of knowledge, collaboration and understanding. .
Holtham, C., Ward, V. and Bohn, M. (2001). Slow knowledge: the importance of tempo in debriefing and in individual learning. .
Holtham, C. (2000). A half-hearted revolution. New technology alone won't necessarily bring improved productivity. For e-government to be a success, fundamental changes are necessary, along with a degree of insight and imagination. Public Finance pp. 48–49. Holtham, C. and Ward, V. (2000). Accelerated Executive Learning : the significance of physical and virtual space in knowledge for strategy. .
Holtham, C. and Courtney, N. (2000). e-business: Past and Future. , Issue 12, p. 9. Holtham, C. and Ward, V. (2000). Experimenting With Learning About Knowledge: The Art Exhibition and The Garden Shed. .
Holtham, C. and Wallis, R. (2000). From the Physical to the Virtual and back again. .
Holtham, C. (2000). Inspiration: software to support individual creativity. , 1. Holtham, C. (2000). Interim Electric Government May Be Major Barrier To Full Electronic Government. .
Holtham, C. and Ward, V. (2000). Physical Space: the most neglected resource in contemporary knowledge management? . Holtham, C. and Ward, V. (2000). The Role of Psychological and Physical Spaces in Knowledge Management. .
Bawden, D., Holtham, C. and Courtney, N. (1999). Perspectives on information overload. Aslib Proceedings, 51(8), pp. 249–255. doi:10.1108/EUM0000000006984 . Holtham, C. (1999). Developing Effective Learning Communities Online. .
Holtham, C. (1999). How Human Touch Makes a Real Learning Difference. .
Holtham, C. (1999). Monolithic versus do-it-yourself learning resources in business education. , Q4/99. Holtham, C. (1999). The application of portable networks in face-to-face group decision support systems. .
Holtham, C. and Tomkin, N. (1999). The application of simulation as a learning method in financial services. .
Holtham, C. (1999). The Office as a Place for Knowledge Creation. .
Holtham, C., Brady, C., Janes, R., Reavill, L. and Rich, M. (1999). Utilising electronic meeting system methods to create an audit template as support for quality assurance initiatives in higher education. .
Tiwari, A. and Holtham, C. (1998). Learning groupware through using groupware - Computer Supported Collaborative Learning with face to face students. SIGCSE Bulletin (Association for Computing Machinery, Special Interest Group on Computer Science Education), 30(3), pp. 236–238. doi:10.1145/290320.283553 . Holtham, C. and Tiwari, A. (1998). Adapting the physical office of the twenty first century to capitalize on emerging information system opportunities for managerial productivity and creativity. .
Holtham, C. and Janes, R. (1998). Alternative GDSS structuring methods - towards versatility in group decision support? . Holtham, C. and Courtney, N. (1998). Applied Knowledge Management. .
Holtham, C. (1998). Creating Virtual Learning Communities. .
Holtham, C. and Courtney, N. (1998). Developing Managerial Competencies In Applied Knowledge Management: A Study Of Theory And Practice. .
Holtham, C., Kretschmer, M. and Wallis, R. (1998). Electronic Commerce and Credibility Capital: The Role of Intermediaries. .
Holtham, C. and Tiwari, A. (1998). Learning Groupware Through Using Groupware - Computer Supported Collaborative Learning with Face to Face Students. .
Holtham, C. and Tiwari, A. (1998). Physical universities can apply virtual technologies too: the use of networked technologies to support collaborative learning. .
Holtham, C. (1997). BPR Revisited. , June, p. 8. Holtham, C. and Rich, M. (1997). Learning information systems in an MBA course through a mail-enabled business simulation - Trent Engineering. .
Holtham, C. and Tomkin, N. (1997). New Channels of Delivery in Retail Financial Services: The Bank of Ruritania Business Simulation. .
Holtham, C. (1996). Collaboration, Knowledge and Action. .
Holtham, C. and Tiwari, A. (1996). The application of collaboration technologies to the budget-making process. .
Holtham, C., D'Cruz, M. and Tiwari, A. (1996). Using Intranet and Business Groupware Technologies to Support Collaborative Learning with Face to Face Students. .
Holtham, C. (1995). Integrating technologies to support action. Interacting with Computers, 7(1), pp. 91–107. doi:10.1016/0953-5438(95)90821-2 . Holtham, C. and Courtney, N. (1995). Future Frameworks for Open Client Server Technologies. .
Holtham, C. (1995). IT and Marketing. .
Holtham, C. (1995). The Mononchrome Educational Conferencing System. , 2, p. 15. Holtham, C., Waal, A.A. and Bulthuis, H. (1994). De transparante organisatie en het gebruik van groupware. .
Holtham, C. (1993). Des simulateurs de vol applique a l'enseignement de la gestion. .
HOLTHAM, C. (1992). ARCHITECTURES FOR EXECUTIVE SUPPORT SYSTEMS - TOWARDS A PROTOTYPE TOP MANAGER WORKSTATION. IFIP TRANSACTIONS A-COMPUTER SCIENCE AND TECHNOLOGY, 9, pp. 275–290. Holtham, C. (1989). Information technology management into the 1990s: A position paper. Journal of Information Technology, 4(4), pp. 179–196. doi:10.1057/jit.1989.33 . Holtham, C. (1988). Developing a system for measuring departmental performance. Public Money and Management, 8(4), pp. 29–33. doi:10.1080/09540968809387504 . HOLTHAM, C. (1977). LOCAL-GOVERNMENT FINANCE - STEISS,AW. LOCAL GOVERNMENT STUDIES-NEW SERIES, 3(2), pp. 79–81. Hendry, C., Courtney, N. and Holtham, C. (2003). Unlocking the Hidden Wealth of organisations: the development and communication of intangible assets. London: B&Q; Cass Business School, City University. Holtham, C. (2001). The Dynamic Knowledge Network: an advanced computer supported collaborative learning environment for management education..
Tiwari, A. and Holtham, C. (1998). The outcomes and implications of using groupware and shared innovative practices across universities to support accelerated learning by undergraduate students. (Working Paper). Institute of Chartered Accountants of England and Wales and the Pensions Institute. International Journal of Learning and Intellectual Capital, Member of Editorial Board, 2006 – present. Chartered Association of Business Schools, Learning, Teaching and Student Experience 2017 Conference. (Conference) Bristol (2017). Association of Business Schools Teaching & Learning Conference. (Conference) Manchester (2012). Organising Committee. Charity Finance Directors' Group Annual Conference. (Conference) London (2012). Invited speaker. Paper: Web 3.0 – challenge or opportunity for accountants? Design Education for Business Creativity and Education. (Conference) London (2011). Organising Committee. Learning in Higher Education 11. (Conference) Greece (2011). Chair. EFMD Symposium on Creating Competitive Advantage with Pedagogical Innovation. (Workshop) Brussels, Belgium (2011). Invited speaker. University of West London, Teaching and Learning Conference. (Conference) London (2011). Invited speaker. Okra Globalisation Conference. (Conference) London (2011). Invited speaker. National Teaching Fellows Symposium. (Conference) University of Leicester (2011). EKSIG Conference: “SkinDeep - experiential knowledge and multi sensory communication”. (Conference) Farnham (2011). EIASM Workshop: "Reflecting on visuality, performances and materialities in practices of management, organising and governing". (Conference) Segovia, Spain (2011). City University Learning Development Conference. (Conference) London (2011). Business Analysis Conference. (Conference) London (2011). Invited speaker. BMAF Conference 2011, Graduates with Impact through excellence in business education. (Conference) Bournemouth (2011). 13th International Conference on Engineering and Product Design Education. Design education for creativity and business innovation. (Conference) London (2011). Paper: How far should design be at the heart of a 21st century university focussed on creativity and innovation? M/O/T Conference. (Conference) Vienna, Austria (2010). EABIS Experiential Learning Congress. (Conference) Berlin, Germany (2010). Apply Arts Conference. (Conference) Helsinki, Finland (2010). Invited speaker. Art of Management Workshop. (Workshop) Bilgi University Istanbul (2010). 28th Standing Conference on Organisational Symbolism (SCOS). (Conference) Lille (2010). Higher Education Academy Conference. 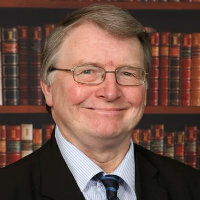 (Conference) Hatfield (2010). Learning at City Conference. (Conference) London (2010). Learning in Higher Education 10. (Conference) Greece (2010). Chair. BMAF Conference 2010, Assessment and Assessment Standards: Challenges for Business Education. (Conference) Newcastle (2010). UK Academy of Information Systems Conference. (Conference) University of Oxford (2010). Creative Economy and Beyond (CEB) International Conference on the Creative Economy. (Conference) Helsinki, Finland (2009). Workshop on Information Spaces for Creative Conversations, Human Computer Interface Conference. (Workshop) Cambridge (2009). Invited speaker. Paper: Organisational creativity: building a business ba-haus? DIVERSE Conference. (Conference) Aberystwyth (2009). 8th European Conference on Research Methodology for Business and Management Studies (ECRM 2009). (Conference) Valetta, Malta (2009). Learning in Higher Education 09. (Conference) Greece (2009). Chair. National Teaching Fellows Symposium. (Conference) Leeds (2009). Invited speaker. BMAF Conference 2009, Engaging Employers. (Workshop) Cardiff (2009). Invited speaker. IDA Conference. (Conference) London (2009). Inqbate CETL Workshop. (Workshop) Brighton (2009). Invited speaker. eLearning Web 2.0 Conference. (Conference) Brunel University, Uxbridge (2009). Invited speaker. Out of the Studio Conference; Art, Design Media Subject Centre. (Conference) Arts Institute Bournemouth (2008). Invited speaker. Art of Management IV Conference. (Conference) Banff, Alberta (2008). Paper: Can artful inquiry ever play more than a minor role in formal management education? British Educational Research Association (BERA). Edinburgh (2008). European Institute for the Advanced Study of Management (EIASM) Workshop, “Imagining Business; Reflecting on the visual power of management, organising and governing practices”. (Conference) Said Business School, University of Oxford (2008). Narrative Practitioner Conference. (Conference) Wrexham (2008). EDINEB Conference. (Conference) Malaga (2008). Learning in Higher Education 08. (Conference) Greece (2008). Chair. Space, Performance and Pedagogy Symposium, CAPITAL (Creativity and Performance in Teaching and Learning) Centre. (Conference) Warwick University (2008). London SOTL Conference. (Conference) London (2008). BMAF Conference 2008, The Learning and Teaching Agenda in the UK: National Perspectives but Common Concerns? (Conference) Edinburgh (2008). TENCompetence Conference. (Conference) Madrid (2008). - British Computer Society Grand Challenge Workshop on Lifelong Learning. (Workshop) British Computer Society, London (2008). University of Brighton Conference. (Public lecture) Brighton (2007). Invited speaker. DIVERSE. (Conference) Lillehammer, Norway (2007). Qube Final Conference. (Conference) London (2007). Chair and Organising Committee. 4th Metaphorum Conference. (Conference) University of St Gallen (2007). Higher Education Academy FDTL Conference. (Conference) Bristol (2007). The Turn to Aesthetics Conference. (Conference) Liverpool (2007). Shock of the Old 2007: Shock of the Social. (Conference) Said Business School, Oxford (2007). International Conference on Design Principles and Practices. (Conference) Imperial College, London (2007). Multinode_Metagame, Art Installation, ZKM. (Conference) Karlsruhe (2006). Organising Committee. Art and Management III Conference. Krakow (2006). Paper: Can artful inquiry help investigate the mystery of management? Higher Education Academy Annual Conference. Nottingham (2006). Integrating for Excellence Conference. Sheffield (2006). New perspectives in learning in the professions. London (2006). Realising Benefits from Investment in Document and Records Management Conference. London (2006). Digital Transformations in the Information Society Conference, London Business School/International Telecommunications Union. Geneva (2006). EURAM 2006 Conference. Oslo (2006). 6th Annual International Conference on the Scholarship of Teaching and Learning. London (2006). International Conference on Design Principles and Practices (5/2006-2/2007). (Conference) Imperial College, London (2006). Organising Committee. DIVERSE 2007 (Developing Innovative Video Resources for (5/2006-6/2007). (Conference) Lillehammer (2006). Organising Committee. Business, Management, Accounting and Finance Subject Centre Annual Conference. Oxford (2006). International Conference on Organizational Learning, Knowledge and Capabilities (OLKC 2006). Warwick University Business School (2006). Association of Business Schools Annual Conference. (Workshop) Grantham (2006). Higher Education Academy Annual Conference. (Conference) Nottingham (2006). COPADD 2006. (Conference) Banff, Canada (2006). Invited speaker. Management Education Track, EURAM (1/2006-6/2006). (Conference) Oslo (2006). Chair. European Union E-Challenges Conference. Ljubljana, Slovenia (2005). 12th EDINEB International Conference on Innovating the Dynamics of Organizing Learning in Business and Business Education. Antwerp (2005). National Teaching Fellows Conference. Nottingham (2005). UK Academy for Information Systems Conference. Newcastle (2005). Society for Teaching and Learning In Higher Education Canada Annual Conference. University of Prince Edward Island (2005). Second International Forum of Teacher-Scholars: Towards a framework for quality assurance for teaching and learning. Charlottetown, Prince Edward Island, Canada (2005). International Simulation and Gaming Association. Atlanta (2005). DIVERSE Fifth Conference on Video and Videoconferencing in Higher Education. Vanderbilt University, TN (2005). 5th Annual International Conference on the Scholarship of Teaching and Learning. London (2005). European Conference on Research Methods in Business & Management, Various(1/2005-12/2012). (Conference) Various (2005). Organising Committee. EGOS Workshop, Drawing on Organization Studies to Design, Manage and Organize Education. Ljubjlana, Slovenia (2004). European E-portfolio Conference. London (2004). 25th McMaster World Congress, Management of Intellectual Capital. Hamilton, Canada (2004). European Commission E-challenges Conference. Bologna (2003). Educational Innovation in Economics and Business (EDINEB 2003). Salzburg (2003). Paper: How far can business war-rooms provide an effective environment for management learning? 'In search of time' conference. Palermo (2003). Organisational Knowledge, Learning and Competencies Conference. Barcelona (2003). World Conference on Intangibles and Intellectual Capital. McMaster University, Ontario (2003). BEST 2003 Conference. Brighton (2003). Educational Innovation in Economics and Business (EDINEB 2002). Guadalajara (2002). Organisational Knowledge, Learning and Competencies Conference. Athens (2002). Second Conference on the Scholarship of Teaching and Learning (SOTL 2002). London (2002). ACM Computer Supported Collaborative Work (CSCW) 2002 Workshop: Public, Community and Situated Displays: Design, Use and Interactions around shared information displays. New Orleans (2002). Spacing and Timing Conference. Palermo (2001). DIVERSE First Conference on Video and Videoconferencing in Higher Education. Derby (2001). Report of The European High Level Expert Group on the Intangible Economy, DG Enterprise. Brussels (2001). Information Management 2001. Olympia, London (2001). European Knowledge Management Conference. Brussels (2001). Business Intelligence 2001 Europe. Paris (2001). Proceedings of the Knowledge Management 2000 Conference. London (2000). EFMD External Relations Seminar. EADA Business School, Barcelona (2000). Bull Information Systems, London (1999). The outcomes and implications of using groupware and shared innovative practices across universities to support accelerated learning by undergraduate students. (Working Paper). (1998). Knowledge Management 98 Conference Proceedings, Learned Information. Oxford (1998). Proceedings of Online 97, Learned Information. Oxford (1997). Paper: Will business knowledge management survive until the twenty first century? European Business Process and Workflow Conference. Amsterdam (1996). Black Forest Group, San Francisco (1995). Presentation EIS and OLAP Conference. London (1995). Executive Systems Research Centre Working Paper. University College, Cork (1995). More room for big data. (2014) The Times (newspaper). School culture big data experts. (2013) tophr.net (website). School culture big data experts. (2013) ftchinese.com (website). the city Walking Bazaar,motiroti. (2013) Arts Jobs.org.uk (website). Soft skills needed for hard times. (2013) The Times (newspaper). Learning on the job works best. (2011) Ft.com (website). Building the future of modern business education today. (2011) www.independent.co.uk (website). Amazon fights the iPad with fire. (2011) Sunday Times (newspaper). Make sure you are the centre of attention when presenting. (2010) City AM (newspaper). Log on to a brave new world of education. (2010) The Independent (newspaper). Log on to a brave new world of education. (2010) www.independent.co.uk (website). Short but Tweet: how colleges keep all their students informed. (2010) Times (newspaper). Learning gets personal as blogs take off. (2009) Times (newspaper). Learning gets futuristic as schools connect with web 2.0. (2009) City AM (newspaper). Trading aces. (2009) Guardian (newspaper). Making IT deliver. (2008) Computing Business. HE learning gets a boost. (2008) Av Magazine (magazine). Distance learning boosted by downturn. (2008) Ft.com (website). Distance learning boosted by downturn. (2008) Financial Times (newspaper). Sir Tim Berners-Lee heads Intel's list of most influential technologists. (2008) www.hexus.net (website). Joining up means you don't feel left out. (2007) www.guardian.co.uk (website). Joining up means you don't feel left out. (2007) Guardian (newspaper). The Apprentice. (2007) BBC Radio 4 (radio). Turn on, tu ne in, and learn. (2007) Financial Times (newspaper). The Virtual Classroom. (2007) The Independent (newspaper). The remote classroom. (2007) Marketing. 2nd chance for a second life. (2007) www.computerweekly.com (website). WIKI at work. (2007) Management Today. Bowing to a shift in attitudes. (2006) Times (newspaper). Edison's idea set the ball rolling. (2006) Times (newspaper).